Legend Guardians is a combination of 2D RPG action games and fighting games. 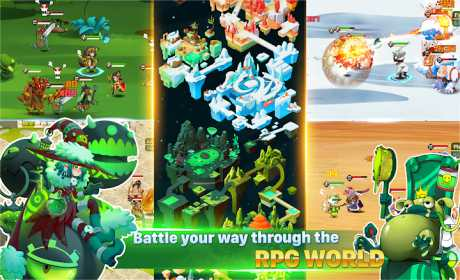 This game is a role-playing game with epic heroes: mighty knight, master archer, tanker, darkness assassin, monster hunter, sword man and light samurai, ninja warrior, demon. These heroes are guardians join the epic battles to rescue the kingdom. 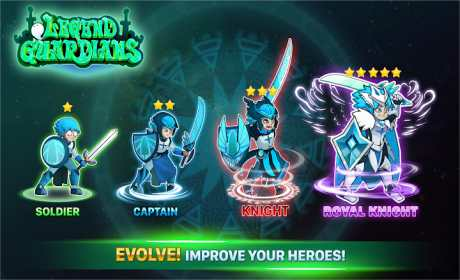 In Legend Guardians you will adventure to the mysterious lands, fight the dark monsters and summoner, will be playing a strategy action game with team combat features. Use right hero skills and have a smart strategy is the key to achieve triumph on the battlefield. There are many powerful character classes to choose from: Knight, Warrior, Archer, Assassin or Wizard, Samurai and Ninja, etc require highly-professional skills, do some crazy powerful magic and burn the darkness world. ▶ NO INTERNET? NO PROBLEM! 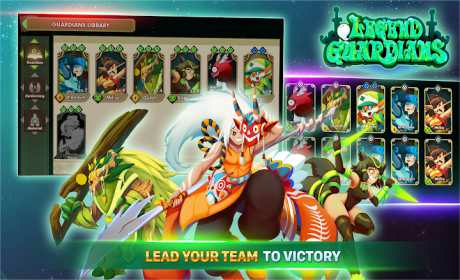 Legend Guardians is an 2D offline game, meaning it can be played anywhere and at any time without an Internet connection. However, it is recommended that the game should be played with an Internet connection so you can experience all of its amazing features.